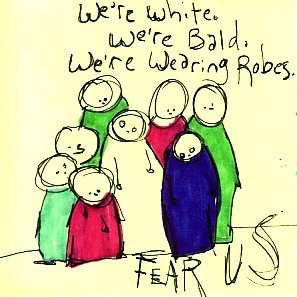 "We're white. We're bald. We're wearing robes. Fear us."